Resident Evil 2 board game has me a little fearful, but not for the right reasons. This announcement from Steamforged games seems to be picking up quite a buzz in the gaming community. This is understandable as the video games have a strong fan base, spawned a lucrative film franchise and is a globally recognised brand. The second instalment of the video game is a fan favourite as the improved game play, puzzles and, most importantly dialogue, raised the bar for the rest of the series. Especially as it had the most playable story lines of any title. Steamforged games is already known for adapting a well established video game into a board game. Dark Souls, their previous release, does a remarkable job of capturing not only the aesthetic of the video game, but also the essence of the experience. In fact, for those who are not so keen on the board game version, this is, bizarrely, the main criticism, it replicated the video game too closely! 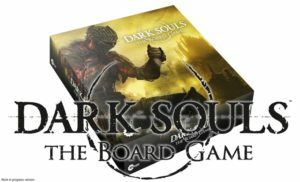 The issue being that players have to grind through the first rooms over and over to collect enough souls, which in a video games is a time-honoured skills improving, goal-orientated mechanic, but for the shared experience of a board game, the rinse repeat, lack of choice or at least obvious path\strategy, isn’t as appealing. If Steamforged show the same adherance to the source material this time around then the game should be quite a high-stakes, lack of resources, character based puzzle fest… at which I will be utterly rubbish at it and get really frustrated at the lack of save points and therefore have to restart over and over. However, what really scares me, and is in fact MY main issue with Dark Souls,… the price. This was a premium product with presumably a high licensing cost for the Intellectual Property (IP) , released through Kickstarter and the campaign reward tiers reflected that. The base game started at £75 plus shipping for an early backer and £80 if you were later than the first day to hear about it. It has to be said you did get a lot of figures for your money with ‘expansions’ being added into the bundle. However there were still a lot of add-ons to tempt even more cash out of the completionists pockets – several meant £28 for a single figure and associated cards or even 9 cardboard tiles adding another £15 if you wanted them. 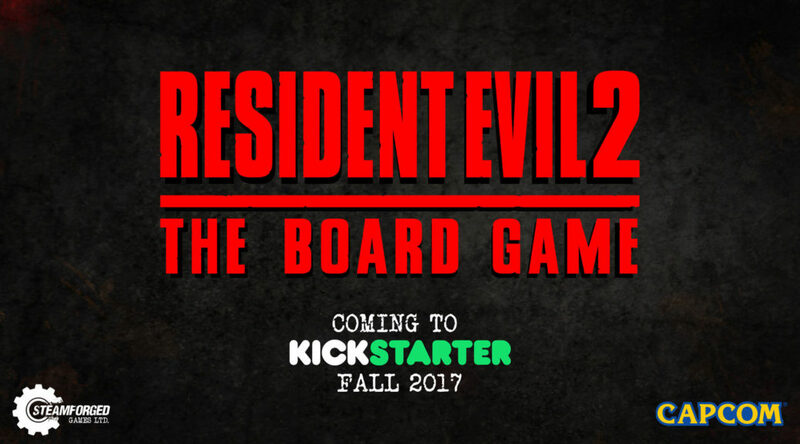 Obviously many people didn’t share my concerns as it was “the highest funded board game launched on” Kickstarter, but I can’t help but think that this very success will mean the price point for Resident Evil 2 will also be at this level or higher as the business model has been proven for them. I fully accept that the issue is that I don’t personally value minis for the sake of minis. I would rather have a good solid and engaging game that employed cardboard standees than beautiful miniatures propping up a mediocre game. However, the success of these campaigns and the fact that backers can make huge profits by exploiting the secondary market due to the limited supply means that this trend of games designed around selling miniatures for high prices will continue to thrive. Previous PostDice Hospital – Coming to Kickstarter soon!Next PostEVIL DEAD 2 – Was dead by dawn, but may yet live?